Less than a week to go! American Thanksgiving dinner, with its traditional turkey as the main course, can be difficult for vegetarians. Here are some ideas to mix and match for your vegetarian Thanksgiving. 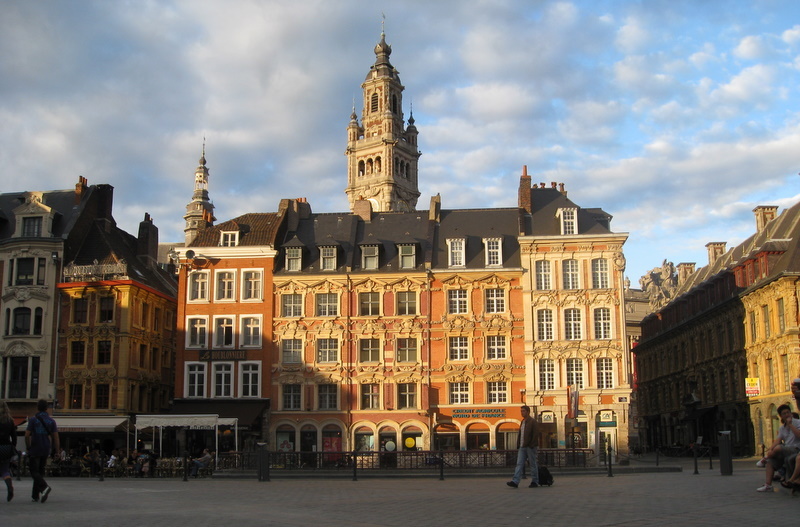 We spent a long weekend in Lille, and to no one’s surprise, it wasn’t enough time to really get to know this vibrant city. 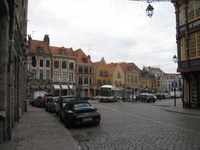 But we did walk a lot, visit the basilica, and take the city bus tour, which was quite good. While in Strasbourg for Bastille Day, we also visited the terrific Musée alsacien and had dinner at our favorite restaurant in Strasbourg: Poêles de Carottes. One of the employees (owners?) can be a little grouchy, but the food is terrific. 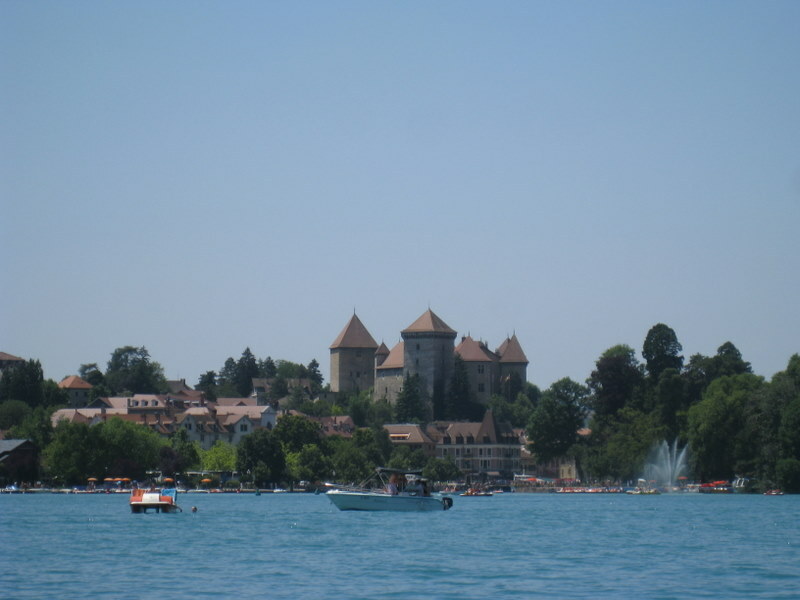 On the 15th we headed south from Strasbourg to retrieve the wallet in Annecy – more than 4 hours each way. To make the most of the trip, we rented another paddleboat and spent two glorious hours out on Lake Annecy. 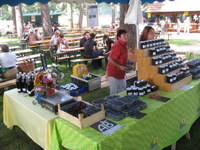 We also found a terrific fromager and stocked up on our favorite cheeses plus some local specialities. Coming home, we stopped in Ribeauvillé in hopes of buying more of the wine we’d liked best during our dégustations the week before, but we were 45 minutes too late – everything had closed at 7pm. 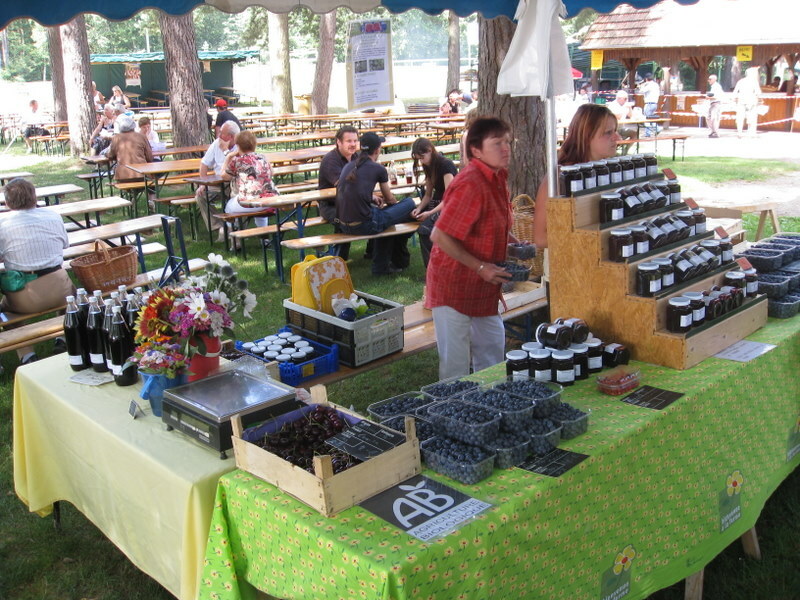 On Sunday, we went to la Fête de la myrtille in Dambach, bought a bunch of blueberries, and tasted blueberry wine, beer, and jam.